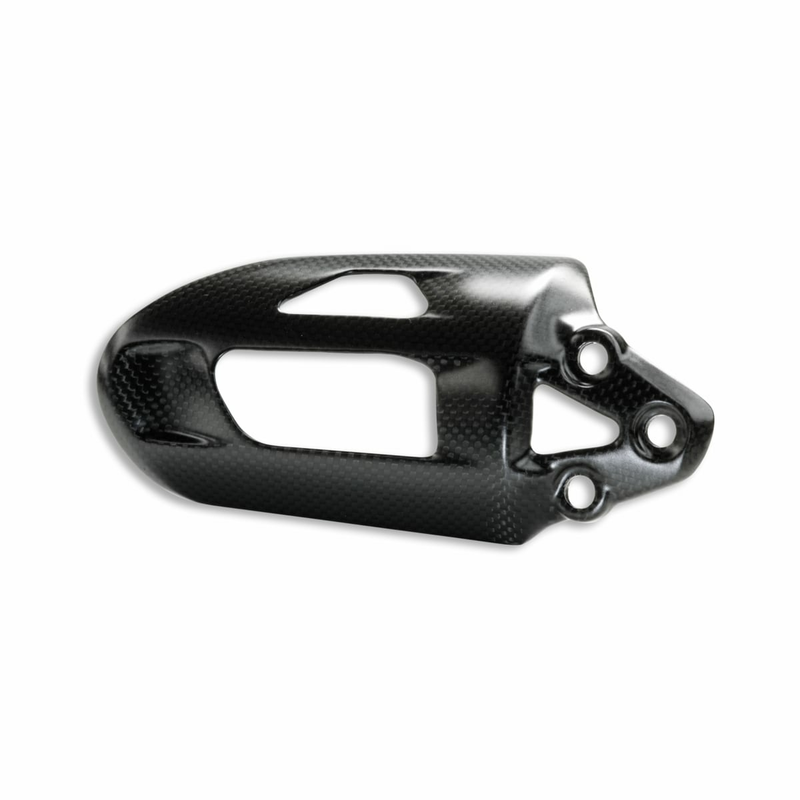 Carbon cover for rear shock absorber. 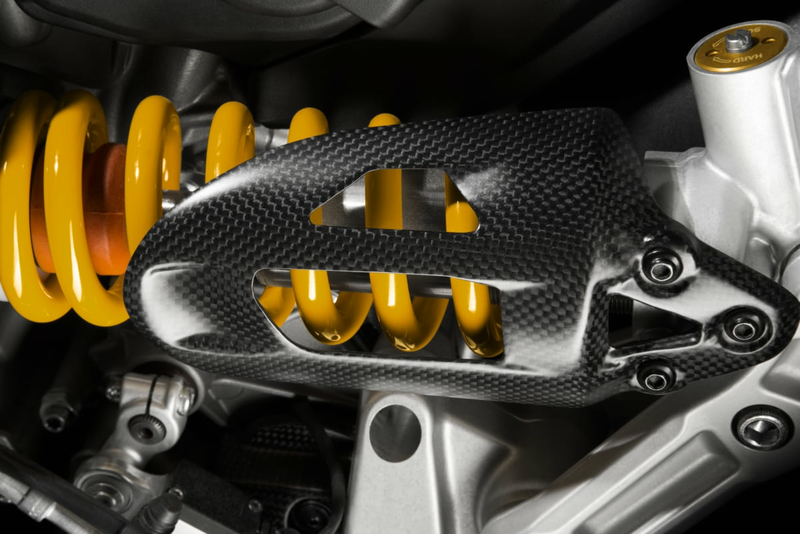 It protects the monoshock from contact with the rider's leg. It combines protection, stylish design and lightweight.